Posiflex Smart Externally Powered P.O.S. 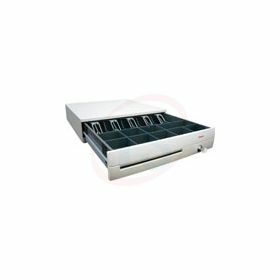 Cash Drawer has a Screwless Tamper Resistant design and it is wider, deeper and longer than FCR-3100. It features a metal construction making it highly reliable and durable with MTBF over 1 million open/close. Posiflex Smart Externally Powered P.O.S. 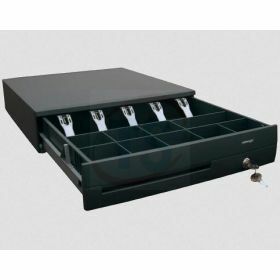 Cash Drawer has a Screwless Tamper Resistant design and it is wider, deeper and longer than FCR-3100. It features a cheque slot, 3 position lock and security code for multiple locker. 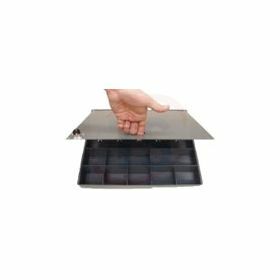 Posiflex Smart PC Powered POS Cash Drawer has a Screwless Tamper Resistant design and is wider, deeper and longer than the FCR-3100. It is highly reliable and durable with MTBF over 1 million open/close. 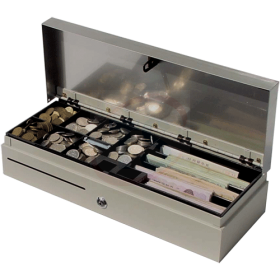 It offers plenty of space for paper, money, coins and cheques. Black GC-34 with 24V Solenoid 420mm (W) x 415mm (D) x 110mm (H). 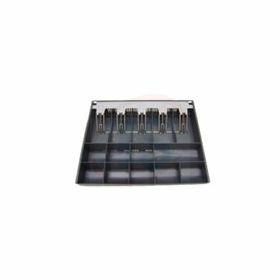 It has a 3 position key lock with Heavy Duty Polished Metal Construction, Nylon Rollers, Metal Note Clips and Available in Black and Ivory colors.